An oh so fluffy and full polka dot square dance skirt twirly skirt in sizes from 12M up to Girl's size 10. 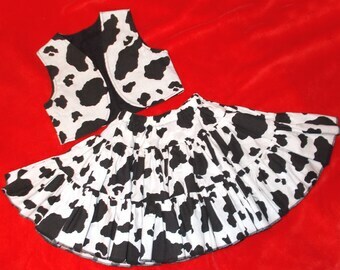 Country girl cowgirl skirt is made extra full for your little girl's twirling fun. Elastic waist, ribbon bow. 100% Cotton. Available in the following colors: Pink, Red, Orange, Lime, Hot Pink, Purple, Black, Lilac, Yellow. Waist measurement is Child's Measurement NOT Garment. 12 Month - Waist 19.5-20.5" - Skirt Length 10"
18 Month - Waist 20-21" - Skirt Length 12"
24M/2T - Waist 21-22" - Skirt Length 12.5"
3T- Waist 22-23" - Skirt Length 12.75"
4T - Waist 22.5-23.5" - Skirt Length 13"
5 - Waist 24-25" - Skirt Length 14"
6 - Waist 24-25" - Skirt Length 14.5"
7 - Waist 25-27" - Skirt Length 15"
8 - Waist 25-27" - Skirt Length 15.5"
10 - Waist 26-28" - Skirt Length 15.5"
12 - Waist 26-28" - Skirt Length 16"
14 - Waist 28-30" - Skirt Length 17"
16 - Waist 28-30" - Skirt Length 18"
Fluffy Solid Red Square Dance Twirly Skirt, Baby Infant Toddler Girls. Many other colors. 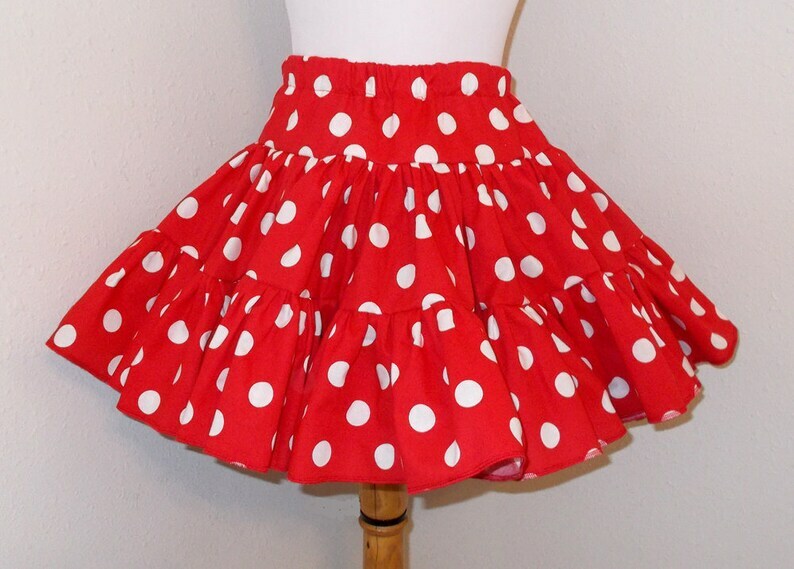 Bright Red Square Dance Twirly Skirt. Fluffy Gingham Square Dance Twirly Skirt, you choose gingham colors Baby Infant Toddler Girls also available for women.